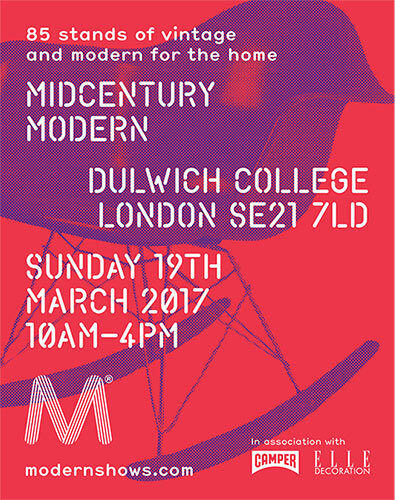 Love Scandinavian and American Modernism, European Bauhaus, British, French and German Industrial? Looking for a huge range of prices and styles from the best in 20C design classics and modern collectables? Find it here at the celebrated show backed by Elle Decoration that has been lauded as a top shopping experience by Time Out, Monocle, Rough Guide to Vintage London, Grand Designs and the London Design Guide.